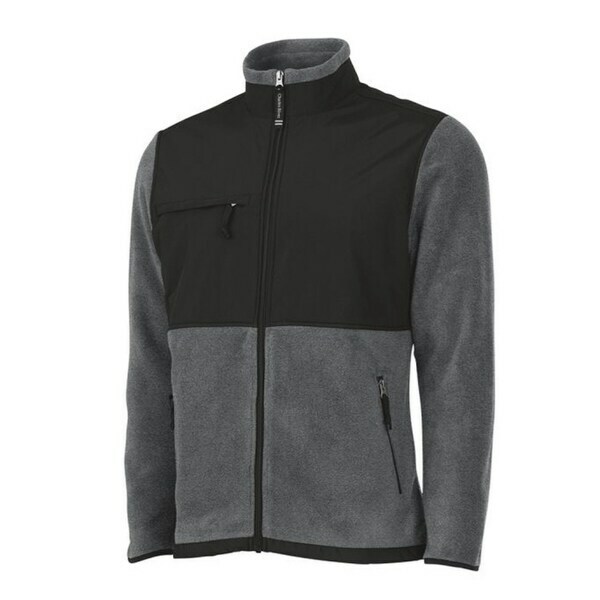 Look great all year round in this Charles River men's fleece jacket. Wind & water-resistant Taslan Nylon accents on chest, back, sleeves & wind flap for a sharp look. Full zip design with black coil zippers for a smooth pull. Wind flap provides extra protection against the elements. Knit binding at cuffs for added comfort. Covered zippered side pockets and chest pocket. Open hem with shockcord drawstring.